If I hadn’t read the introduction to this book by the author, Erika Kotite, I would have been disappointed with its contents. 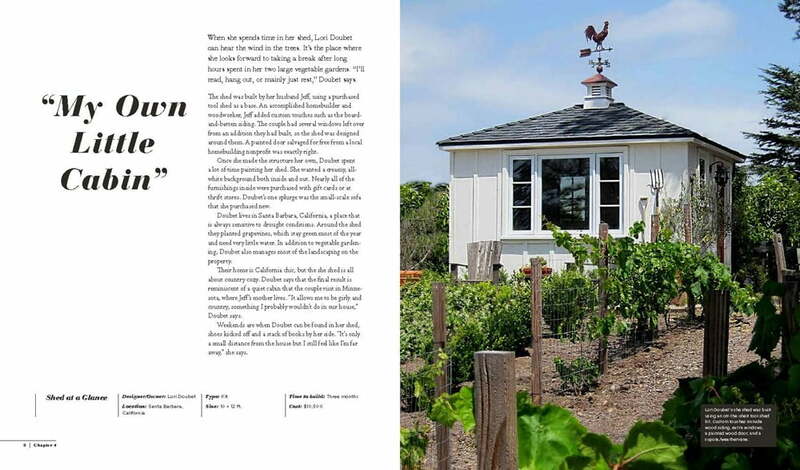 To me a shed has something to do with gardening rather than just being a building in a garden. Erika explains that a ‘she shed’ is a woman’s private space to escape the pressures of everyday life, a place to relax or undertake creative pursuits. Only four of the featured sheds relate to gardening, but if you are looking to create a sanctuary or creative space then you will find inspiration in this book together with useful, practical advice. 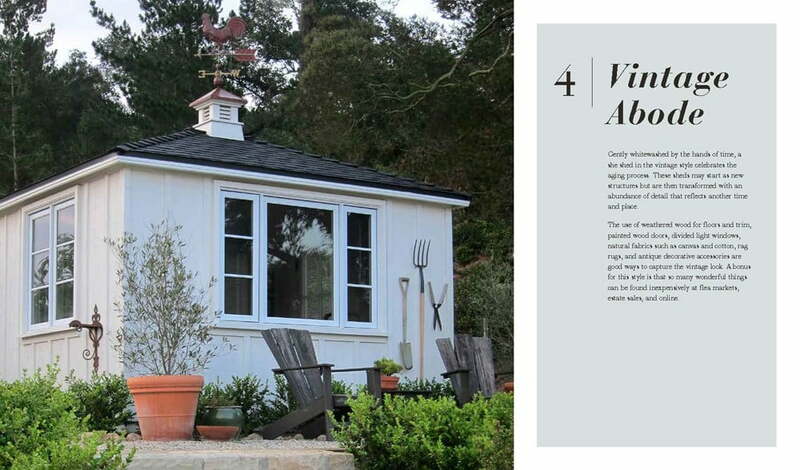 About half of the book is taken up with features of individual ‘she sheds’. There is a particular focus on buildings made from or incorporating recycled materials, but some kit sheds are also included for those of us who don’t have access to an existing building to convert or to lovely, rustic materials to reuse. As Erika lives in America the majority of ‘she sheds’ featured are in various states in America, but there are also some from Australia and England. The book is part romantic aspiration, part practical guide. 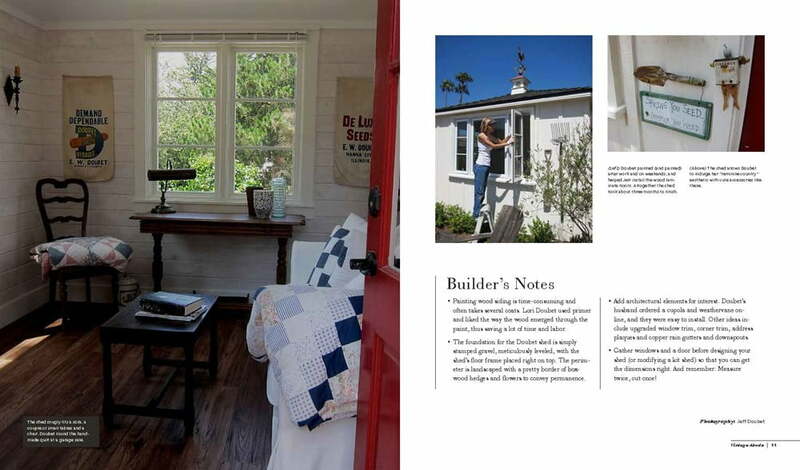 Erika provides a short description of the style, design and purpose for each featured ‘she shed’, but she also helpfully gives the dimensions, time to build, costs and builders notes. For me this level of detail made reading about the individual projects much more interesting. A large chunk of the book contains a very practical guide about how to build a shed from a kit, and we follow the author and her husband building a kit shed for her sister-in law. She shares their hints and tips, and the lessons they learned along the way. This might inspire you to have a go and do it yourself, but it might also make you decide the get the professionals in! 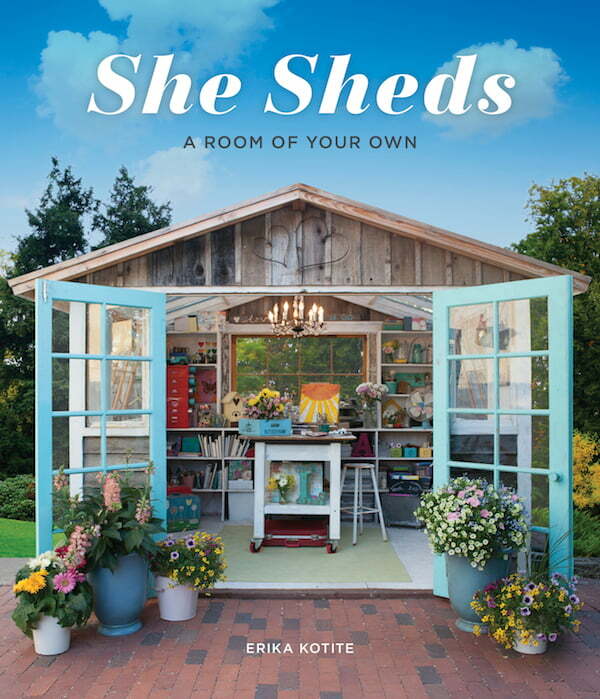 Unless you are going to follow Erika’s step-by-step guide to building a kit shed I suspect that She Sheds is not one that you will keep referring to, but Erika does achieve what she set out to produce; a reality guidebook for those fantasising about building a she-shed, or fodder for your dreams.